French fashion brands to wear on repeat this fall. As a French fashion blogger based in the USA, people often tell me how much they love French fashion brands. Indeed, French fashion luxury labels (Chanel, Hermes, Dior, Celine, Chloe, etc.) are internationally famous and have been on trend for decades. The French girl and its effortless chic style are a regular topic of international magazines. But French style cannot be assimilated to luxury labels only; it is actually more a matter of versatility, timeless elegance, modernity and quality. 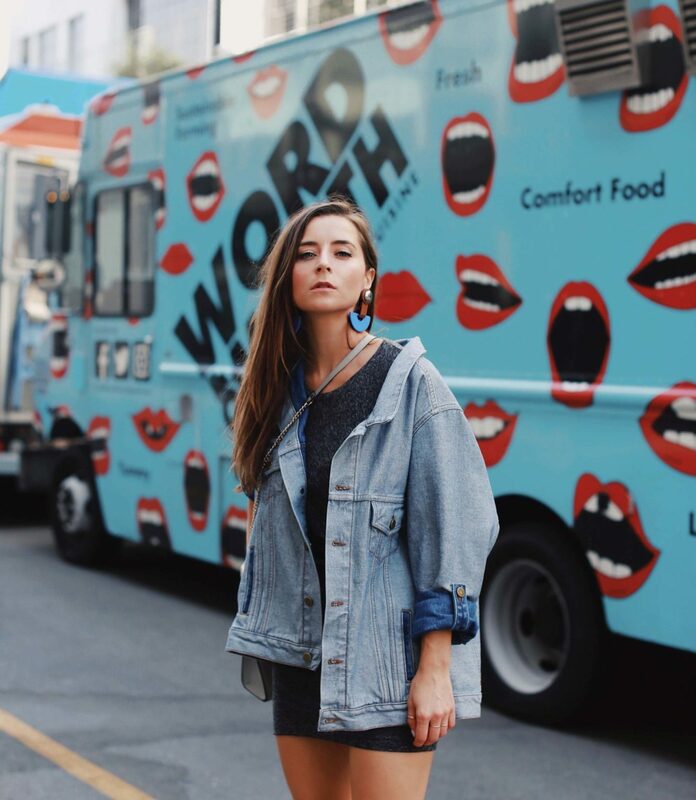 Moreover, French women have access to a plethora of stylish fashion brands at different price points, that definitely help them to achieve the coveted French style. I have rounded up some of my favorite French fashion brands to wear this fall-winter. 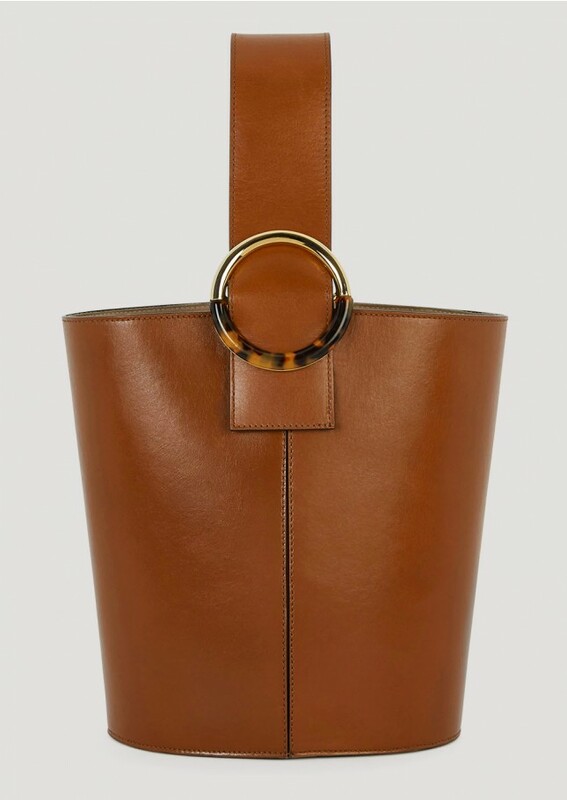 Some of these labels are rising French brands (La Seinet et Moi, Polène, Les Expatriés) while others are well known by French women (Sézane, Ba&Sh, Tara Jarmon, Maje, Magali Pascal, Mkt Studio, Maison Kitsuné, Iro). I hope you will like them as much as I do. The concept: Ba&sh is a mix between the chic Parisian and the Bohemian girl. Barbara Boccara and Sharon Krief, who have given the first two letters of their names to the label, wanted to make clothes for women by women. The success of Ba&Sh is definitely due to its effortless, stylish, feminine clothes uniting expression of freedom and joyful elegance. 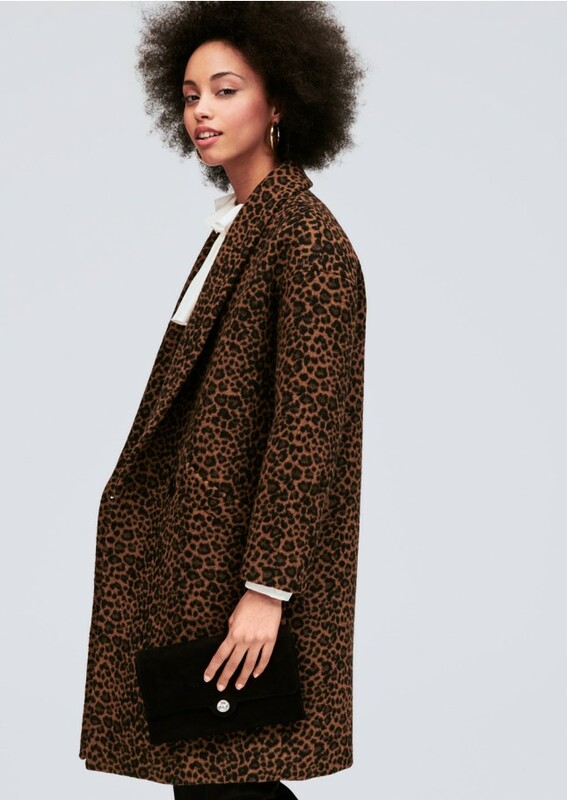 Must-Have: Boho dresses, trench coats, sweater, and suits. Note: the denim pants size a little bit high. Pictures credits: Above: Trench, Shirt and Pants by Ba&Sh / Below: Sweater and Pants by Ba&Sh. The concept: Iro was founded by music producers. The label is on a mission to style the rock-chic girl. Indeed, Iro mixes and matches the vibes of Chanel, Saint Laurent and Isabel Marant at a more affordable price point. Must-have: Definitely a jacket: tweed or leather. You will be hooked with the brand forever. I love also their jumpsuits, pants, and dresses. 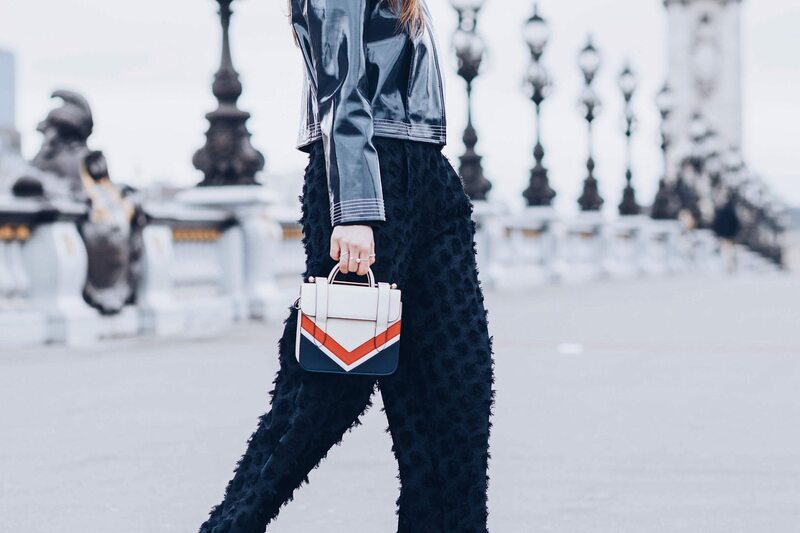 Picture credit: Iro Jumpsuit / Bag: Chloe. The concept: The Parisian label Maison Kitsuné started as a music label back in 2002 to slowly grow as a fashion and lifestyle brand (Café Kitsuné). Kitsune means fox in Japanese, a symbol of versatility. The fox is the signature logo of the label. Maison Kitsuné constantly reinvents wardrobe staples by mixing daring and playful colors, prints and fabrics with a great attention to quality and details. Must-Have: Sweaters, shirts, and cool tees! They also have amazing scented candles. I am currently writing this article under the influence of the Chill with Cafe playlist, so definitely look at their playlists too! Picture credit: Sweater: Kitsune / Coat: Tara Jarmon. The concept: Magali Pascal launched her Parisian eponymous label on 2004. 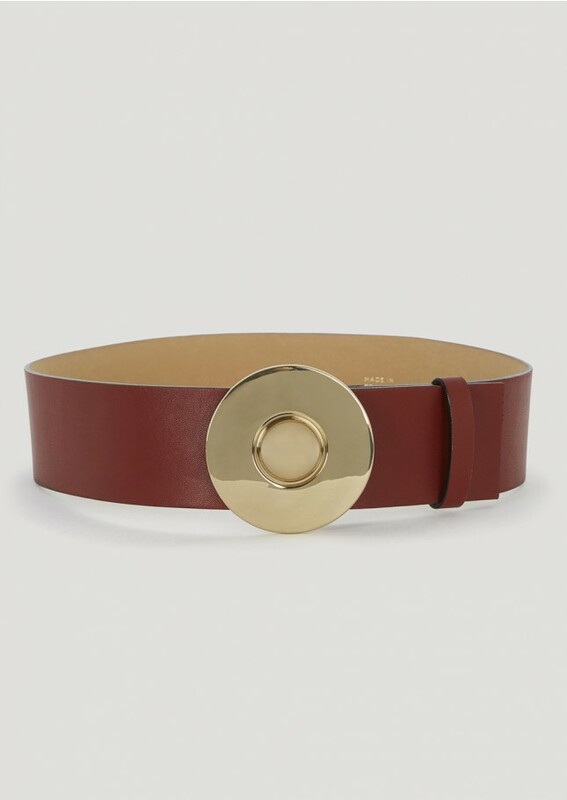 Her easy-to-wear pieces embody French elegance. 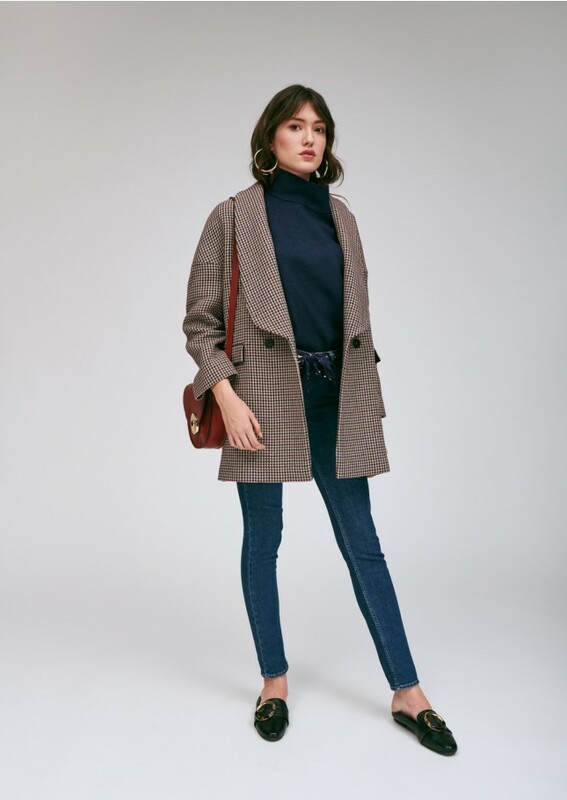 Inspired by the Parisian “Bourgeois Boheme” effortless chic spirit, her collections are recognizable in their feminine, vintage aesthetic, and the earthy color palettes. The brand favors the use of luxurious silks, laces, and organic fabrics. Must-Have: I am obsessed with its blouses, skirts and dresses. Picture credit: Magali Pascal Top and opium skirt. The concept: Maje celebrated its 20th anniversary in 2018. Maje is all about understated chic, feminine pieces, and wardrobe staples. A brand made for dynamic women encompassing many different roles throughout the day. Must-Have: Anything! If you are petite you will be specifically obsessed with this brand! I bought their pants for years! Picture credit: more about our outfits in this blog post. The concept: MKT studio (my Knot Tie) is inspired by music and film icons in the 70’s, 80’s and 90’s (Patti Smith, Debbie Harry, Mia Farrow, Janis Joplin, Courtney Love, Kate Moss, and Alexa Chung). Definitely feminine, edgy with an off-beat attitude, MKT studio reinvents the basics of the season to make them the must-have pieces. Must-Have: Coats (teddy, faux fur) and jacket (puffer jacket, plaid blazer). Picture credit: MKT Studio Marili Pink Coat / Dress And Other Stories / AGL Shoes. The concept: Tara Jarmon is a 30-year-old Parisian label. Famous in France for its high-end classic office wear pieces, Tara Jarmon has written a new chapter in its story in 2017 by hiring a new creative director: Colombe Campana, the former concept designer for & Other Stories. Indeed Colombe revisites the brand identity and introduces modern fits and cuts but stays true to the Tara Jarmon woman: playful, feminine and chic. The Tara Jarmon prints are developed in-house in Paris and the brand greatly cares about quality and artisanal know-how. Must-Have: Tops, dresses, and coats are the go-to at Tara Jarmon. But the accessories will also elevate your outfits. Picture credit: Above: Tara Jarmon dress and belt. Below: Tara Jarmon sweater, bag and coat /Isabel Marant belt. The concept: Sézane is the first online Parisian fashion label. The label offers a modern Parisian collection with a retro flair. Founded eight years ago by Parisian Morgane Sézalory, Sézane e-store has gathered a cult following. Items rarely go on sale, and usually, only best sellers are rereleased. Sézane knows very well its suppliers. Indeed, some of their shoes are made in the same factories which work with luxury brands and because of Sézane’s business model they can have a different price point. Now available in the US, Sézane is definitely an online experience to try. Do sign up to its newsletter as the products are regularly sold out. Must-Have: I bought their blouses and boots on repeat. So I will definitely recommend starting with these. Picture credit: Sezane blouse and boots / Jeans: Grl Frnd Denim / Sunglasses: Krewe / Bag Polene. The concept: Les Expatriés (beexpatminded.com) is a Parisian label for men and women, which creates and manufactures a daily wardrobe, inspired by trends, state of mind and lifestyle of a new generation. A community which is bold, curious, insatiable and made of happy dreamers. This French fashion label produces limited series and all pieces are numbered! In addition, Les Expatriés reintroduces the couture bar track technic which reinforces the weak areas of clothes, avoiding ripped fabrics, tensions, and deformations of clothes. Learn more about this amazing label, in this dedicated post. Must-Have: If there is one jacket every stylish girl must have, it will definitely be the Bonnie Denim Jacket! Oversized and with its reversed denim fabrics, this jacket is a very modern twist to the classic blue denim jacket. This season you can get it in dark or blue denim. Also, I love the fit of their suits! Picture credit: Above: Les Expatriés Velvet jacket and pants / Danila Ba&Sh Paris blouse / Polène Numero 6 Bag . Below: Les Expatriés Bonnie Jacket / Athos Dress: Iro Paris / Earrings: Rachel Comey. 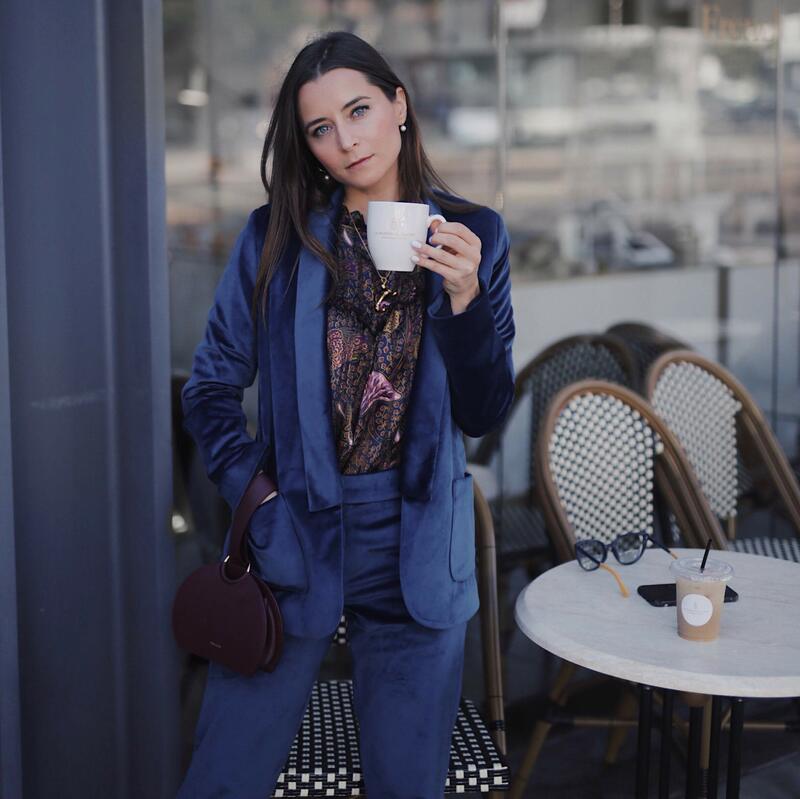 The concept: Musier Paris is a new brand created by the French influencer Anne-Laure Mais Moreau De Adenorah in 2018. Musier reflects a new generation of women: feminine, connected, free, inspired and modern. Each piece is handmade in Paris. And, every two months, Musier is releasing a new collection. Must-Have: Definitely, their bags (bag Djerra, bag Julie, bag Alicia) but don’t only stop there: their jackets, cardigans, and pants are amazing. Click here to see the current online collection. 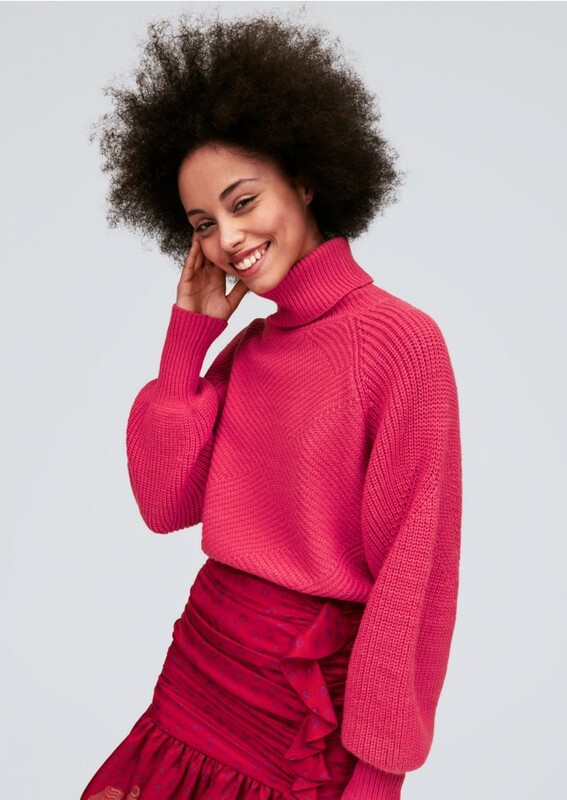 Picture credit: Musier Paris Emmanuelle pink corduroy pants, Musier Paris belt Katia, Lilou bag by Danse Lente, Tara Jarmon Sweater. The concept: Polène Paris is the new Parisian high-end leather goods brand. Within a few months, Polène has amassed a loyal following on Instagram and numerous international fashion bloggers wore these Parisian bags. Polène is a family business. The trio of one sister and two brothers behind the label are truly passionate about craftsmanship and fine products. In addition, to celebrate the trio that they form together, every month they revisit one of their models with a new tri-material, tri-color design. Polène delivers chic, excellent visual finish, and high-quality designs at the fairest prices (you buy it almost at the wholesale price!). Moreover, Polène works with renown French, Italian and Spanish tanneries and guarantees that their pieces are long-lasting. Must-Have: My pic is definitely the numero 6 and the numero 1 Mini. But if you are looking for a versatile bag go for the numero 1. Picture credit: Polène Paris Numero 1 bag – similar here / Trench by Ba&Sh Paris. The concept: La Seine & Moi is the first French brand of faux fur created in Paris, by Lydia Bahia. Passionate about vintage, in 2015 she launched her cruelty-free label: La Seine&moi, a tribute to Paris and its style. The sustainable label La Seine & Moi was created to fill a gap and to offer a luxury and accessible alternative to real fur. Fashion must make sense today while having fun. La Seine&moi is distinguished by a retro-pop style with fun colors, with high quality, made in Paris. Lydia wanted to offer to her friends a luxury faux fur coat at a reasonable price. She definitely achieves her goal! You can purchase La Seine et Moi: online, at Le Bon Marché, on Farfetch and in her beautiful apartment (you can make an appointment on demand). For Spring, La Seine et Moi has launched an amazing collection of clear trench coats: a must-have! Location: Paris and Los Angeles / Creative director and model: Julia Comil / Photographer: Stefanie M Marie / Style Me Samira / Sebastian Erras. All of these brands look absolutely amazing and the outfits you are wearing are on point!! Always so chic girl! Ugghhh obsessed. You knocked it out of the park with these outfits and pieces. So many great brands here!! I love the pink puffer jacket and All of these outfits are so chic! OK I almost cried when I saw the velvet suit from Les Expatries! I love it and I need it! You have amazing style! So French! all of these outfits are spectacular! so well done! You’re constantly giving me new fashion inspiration. I only wish I could afford all your brilliant pieces. They’re just so stunning. These all are so amazing! The clothes are so chic – I have to check them out!